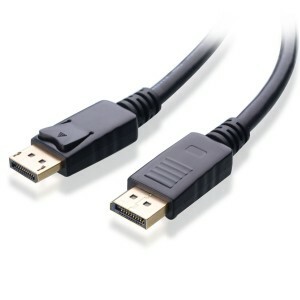 I have selected one high quality cable for each length. All cables have solid 4.5 on 5 stars reviews from hundreds of customers, so shop in peace. Supports Ultra HD 4K resolution (3840x2160) when paired with a 4K compatible source and output display, or up to four 1920x1080 or 1920x1200. Support HBR2 bandwidth of 21.6 Gbit/s. Supports up to 2560x1600 resolutions. Support HBR bandwidth of 10.8 Gbit/s.